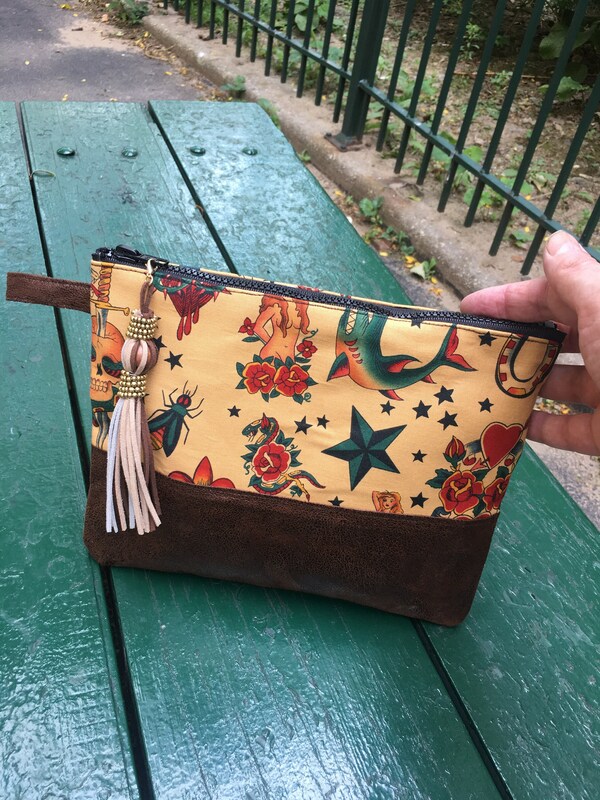 This is a great clutch bag, all purpose pouch, travel bag for documents or cosmetic bag. 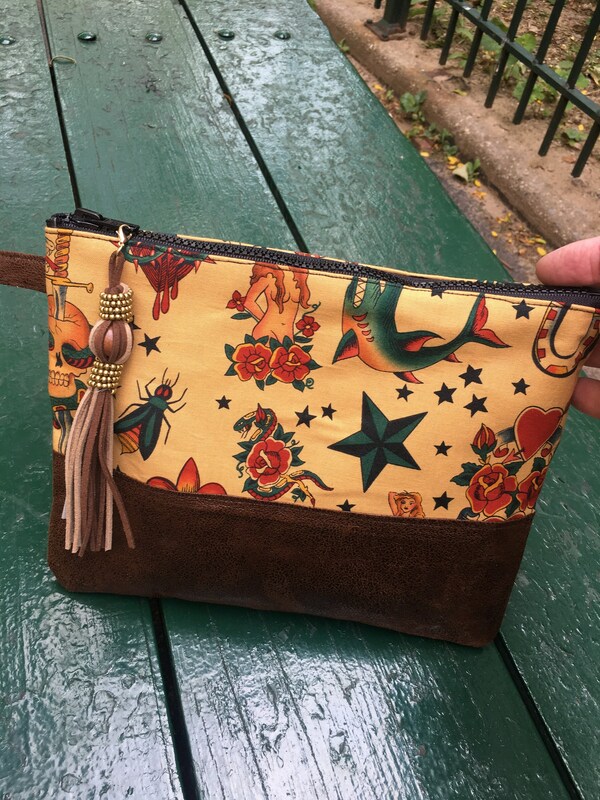 We detailed the sailor jerry tattoo print with a faux calfskin leather and a faux leather tassel. 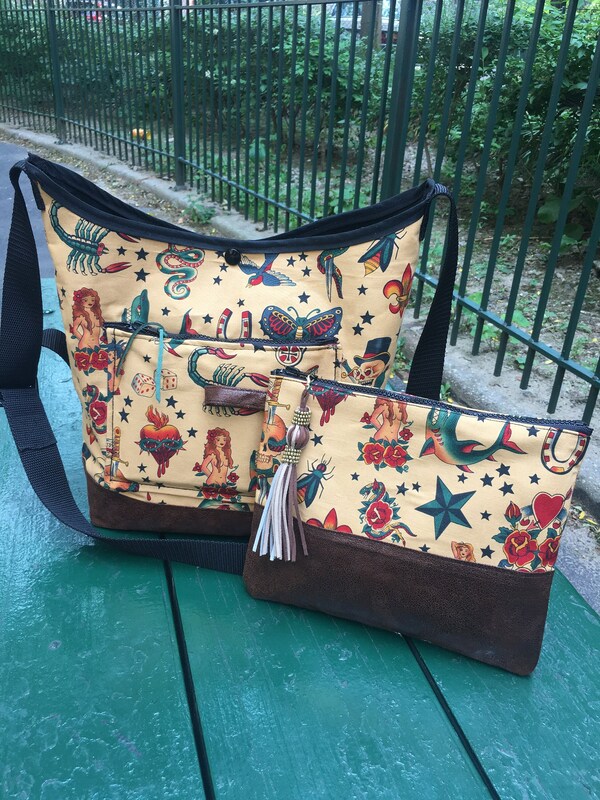 A hip bag anywhere you go!